Privately owned Maui Condo located on the 5th floor with spectacular ocean views. 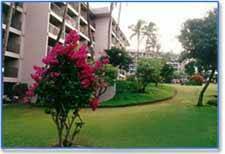 We are the owners of this beautiful condo at the popular Kihei Akahi Resort Condominiums. Located in Southern Kihei, just a few blocks off the edge of Wailea Resort area. 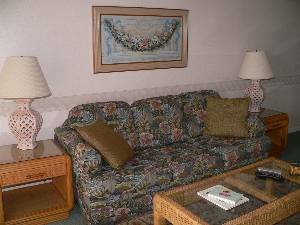 Our condo is elegantly furnished, meticiulously maintained, and "Truely A Home Away From Home". 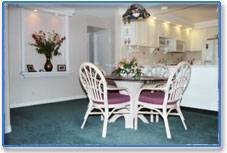 It is well supplied with everything you will need: all linens and cooking utensils, dishwasher, microwave, washer/dryer, color TV,cable, VCR, disk sound system, answering machine, beach chairs and beach towels. 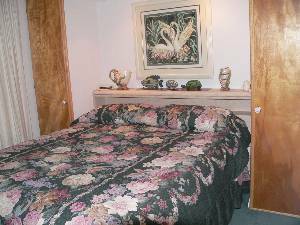 This condo is also Air Conditioned, has a King Size Bed and Free Wireless Internet. The Kihei Akahi complex has two pools, a free tennis court, B-B-Qs and refrigerator around the pools. Enjoy a cool drink or snack while sunning. South kihei is noted for it's Soft White Sand Beaches. The sand gradually slopes out and is excellent for swimming. Shops and restaurants, from casual to fine dining, are within walking distance. Some of Maui's finest golf courses and snorkeling can be found in the Wailea/Makena area. An Activity Desk is present on the premesis to assist you with your sight-seeing needs. South Maui's Finest Swimming Beaches. Complex has 2 pools and a free tennis court. Enjoy swimming, snorkeling or whale watching on one of Maui's finest beaches. 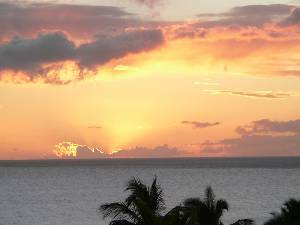 Kihei Akahi is located in South Kihei, just off the edge of Wailea Resort area. This 2BR/2Bath condo has panoramic views of the ocean and sunsets from every room. All of our condos have new king size beds for your sleeping comfort. Kihei Akahi has 2 pools and a Free Tennis Court. B-B-Qs are around the pools. 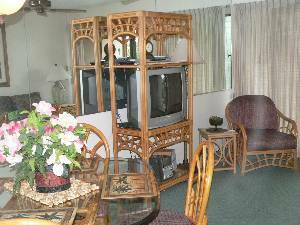 This 5th floor 1BR condo has all new furniture and beautiful views of the ocean and sunrise over Mt Haleakala. Sixth floor condo with great ocean views. 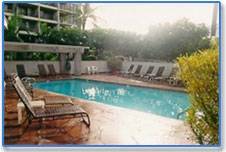 All of our condos have A/C, King Beds and Free Wireless Internet. Deposit: A $200 deposit is required to hold reservation. Cancellations and Refunds: Cancellations made prior to 60 days of arrival will result in monies being refunded minus a $100 processing fee.